Linda McDowell is owner of Flacas Fitness and Brews. Linda’s philosophy is that fitness should be fun, good for you, and something you look forward to. She has been a practicing (but not perfect) fitness fanatic (fan-addict) for most of her adult life. Linda has enjoyed many outlets of physical fitness over the years including swimming, scuba diving, running, weight lifting, walking and yoga. She teaches Hatha Yoga classes and the Bi-annual Posture Labs at Flacas. Linda also believes part of healthy living includes eating well. By that she means eating and drinking whole, healthy foods — real foods — not that fake packaged stuff, chock-full of chemicals. And who says healthy can’t be good and fun at the same time? Flacas Fitness and Brews is Linda’s vision where a dichotomy of people will gather. She hopes that some folks will come for the good grub, some for the brews and smoothies (or both), some for the fitness, and some folks for the whole experience. Her desire is that Flacas Fitness and Brews will be enjoyed by locals and tourists alike. Whatever your reason for coming and wherever you are from — Linda wants you to feel welcome here, like a good friend! Full time employee and manager at Flacas, Cassie keeps things running like a well oiled machine. If you come in and she’s working, Cassie will greet you with a big smile and make you feel like you’ve known her all your life. Born and raised in Hico, Texas, Cassie is the proud mama of a feisty toddler. In her free time she likes to …. um, wait … what free time!? The toddler keeps her busy! Cassie enjoys Texas country music and an old dance floor. Come visit her at Flacas Fitness & Brews. Mike is owner of Flacas Fitness & Brews and also Linda’s husband (in case the last name didn’t give it away). Mike has another business which keeps him plenty busy as an Organic Feed Broker for several organic dairies in Texas and the south west. Mike is a spin-bike enthusiast and he likes to eat, so he will be seen milling about and making friends. And on occasion, he may even fill in where needed. Stephanie has practiced yoga “on and off” the mat for many years. Throughout the many transitions in life, yoga has been Stephanie’s transformational tool—strengthening her body, quieting her mind, and teaching her to be present. The desire to learn more about the mind/body connection and the practice of yoga inspired her to enroll and complete the 200 hour Yoga Alliance Certified teacher training program at Wanderlust Yoga Austin Studio in Austin, Texas. , and enjoying the great outdoors. Jennifer is a student at Tarleton State University and is studying kinesiology. She has plans of furthering her education and becoming a physical therapist. 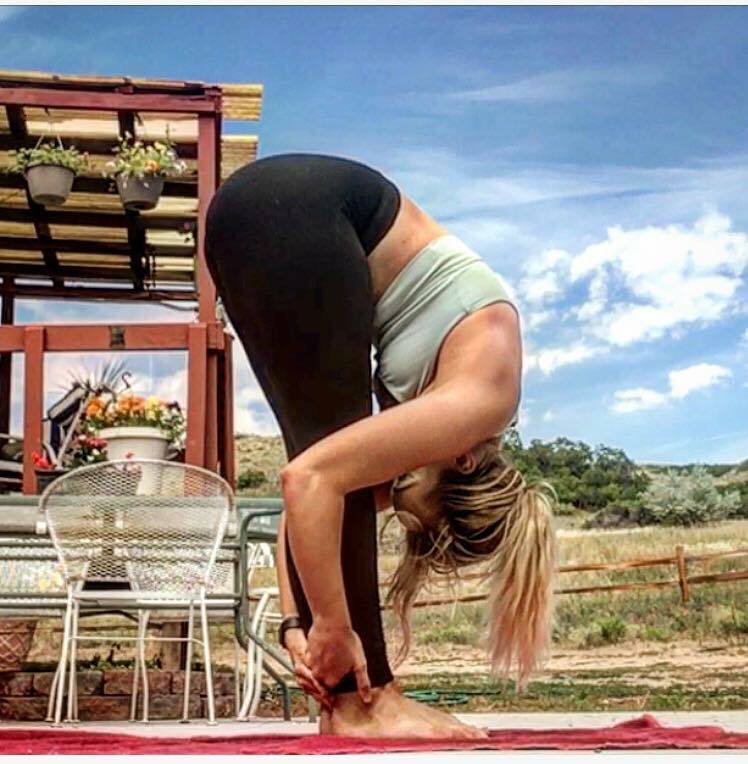 She received her yoga teacher certificate in the summer of 2018 through Sunstone, after practicing yoga for several years. Now she is a teacher at the Tarleton recreation center as well as at Flacas! Along with that Jennifer also competes in the collegiate level in rodeo – more specifically, barrel racing. She has been a competitor for over 10 years in her home state of Colorado.